Black history is almost upon us, which means you’re in for a lot of fun. Black history month is designed to help people learn more about people in our society who don’t always get the spotlight they deserve. However, for many, black history month might go unnoticed because they don’t know how to celebrate. Luckily, there are a lot of great ways to kick off the celebration and keep it going even when February is long gone. These ten tips ensure you will have a lot of fun while helping you learn lots of great information during this special month. So, get ready to celebrate in style as you tick off the items on this list. When it comes to celebrating, one of the best places to start your journey through black history month is to head to a museum in your area. If you plan on taking a trip during this month, then you might look and see what museums are available for you to check out while you’re there. Generally, during this month, a lot of museums will work hard to bring content that will help visitors learn about black history. You might even luck out and find a museum dedicated entirely to black history. For instance, one of the best museums to check out is The National Museum of African American History and Culture, which is a branch of the Smithsonian Museum. You can even check out some museums online if you can’t travel, which can be a real asset for anyone looking to branch out from their own home. One of the best things about literature is it allows you to immerse yourself in the world of someone else. There are so many amazing works of literature to choose from during black history month that you might end up wanting to dedicate your entire year to black literature. From poets and novelist to essayist and lyricist, there is a little something for everyone. A lot of the classic literature is also free now, so you should be able to find some great things without spending a cent. Your local library should be able to help you in this regard too, as they should have some fine options on display. If you can’t find anything, then a librarian should be able to point you in the right direction. There are also many books for children that feature black characters. This will certainly bring excitement to young readers. If you really want to spice up your black history month then you should really check out all of the music available. You can explore jazz, the blues, r&b, rap, hip hop and even rock n roll. You’d be amazed by how many of your favorite songs stem from music that originated in black communities. If you’re at a loss for where to begin then power up your favorite streaming platform. You’re bound to find a lot of playlists dedicated to black history month. You may even be able to separate music by genre if you don’t like to mix and match. If you’d like to learn even more then check out a book or documentary on the topic. You can even browse the net for music suggestions, history lessons and more. It might seem like a no-brainer, but one of the best ways to celebrate black history month is to actually learn more black history. You might want to take a look at your favorite periods of history to see how this time period was improved by black communities. You will be surprised to find how many inventors, scholars and politicians got the back burner in your history books. You’re bound to have some fun learning a lot of new and interesting facts that you can pass on to others. If you don’t want to look at history from a broad spectrum then hone in your search a bit. For instance, you can study up on a hero, inventor, scholar, president, musician, artist and so on. There are so many documentaries that can enlighten you quite a bit. You’ll be so impressed that you’ll want to share more about the person you’ve studied with everyone you meet. One of the most powerful aspects of history can be found in speeches. There have been many speeches that have affected the black community as well as the rest of the country, so seek them out and have a listen. Some of the more popular speeches to read around this time period are those given by Martin Luther King Jr and Malcolm X. However, you might be surprised to find there are a lot of powerful speeches that you may have never heard of. A simple search will get you started on your investigation. However, if you’re looking to feel empowered by some of the speeches you’ve already heard, then chances are you can read and listen to them online. Many of Martin Luther King Jr’s speeches have been available online for free for many years now. You’re bound to come across websites featuring them on Martin Luther King Jr Day, as well as throughout black history month. When it comes to art, the black community has contributed so much. Chances are, some of your favorite works of art were created by a black artist that simply didn’t get the attention they deserved. During black history month, you might want to explore art created by black artists. If you have children in the home or if you’re just feeling artistic then you might recreate some of the works. You can modernize the piece to show its relevance today, simply redo the piece with your own artistic flair or recreate it in a different medium. You might also consider reprinting some of the fliers that were seen during the civil rights movement. This will help remind you how important it is to fight for your rights and the rights of others. Veterans have always been celebrated in this country. However, not all veterans get the applause and gratitude they deserve. In fact, in many of the wars we’ve faced in this country, there have been full platoons of black soldiers that were sent in to do the toughest jobs, with no recognition for their incredible bravery. Some soldiers have even managed to fly under the radar today. So, this black history month, you might want to learn more about the black veterans that have served this country with honor. There are lots of websites to help you on your way. You might also talk to your local veteran’s affairs office to see if there is a veteran in your community that you can honor. 8. Check Out a Podcast/Docuseries/Etc. If you don’t have a lot of time on your hands then you’re still in luck. There are many ways you can learn more about black history that will fit into your busy schedule. For instance, you might want to check out a podcast during your commute to work. You can find all sorts of podcasts that talk about history, civil rights, black culture and so much more. If you are into history, but not reading, then you can easily find a docuseries on just about any topic you could possibly imagine. This will certainly help you find what you need to make this month informative and fun. Another great and tasty way to celebrate black history month is to try out a few foods. You might start this journey by checking out some African recipes. Since there are so many regions in Africa, you’ll be able to try a diverse number of dishes, which is certain to broaden your horizons and your palette. You might also research how food developed in black communities. One of the more common items to research is the origin of soul food. Of course, you won’t want to skip out on some of these dishes either. Another great way to celebrate the month and the food is to learn about the top black chefs in the country and world. You can even find some of their recipes and give them a try. Without a doubt, the civil rights movement is one of the most important things you should remember and celebrate during this time. This month, you might dedicate some time to learn more about the movement. There are many people, places and, in a sense, battles that you may have never heard of. This will honor the memory of those that fought for the rights we hold so dear today. Learning about the movement is important but maintaining and expanding on the values is also incredibly important. With knowledge comes power and knowing and understanding this period of history can help preserve rights today and for future generations. 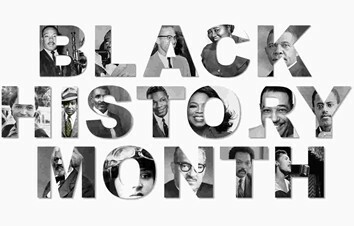 Black history month is an exciting time to expand on your knowledge and learn more about one of the many cultures in the country today. There are so many things to learn and explore this month that children and adults alike should have a great time. Honoring black history is certainly one of the best ways to help breach gaps and help bring unity to everyone.